If she’s not dealing with her outrageously embarrassing mother Posy, or helping out with her troubled brothers at home, she’s pursuing school hearthrob, Si, and making enemies of friends. Life seems tough enough … but then her older-than-average mother announces that she’s pregnant and Gabby’s world turns upside down. Can Gabby’s strength and will pull her through her hardest challenge yet? It is a truth universally acknowledged that teenagers find their parents embarrassing. I know I did and I made my own kids’ eyes roll hundreds of times. Still do in fact! Not only are Gabby’s parents super-embarrassing but her whole family are a nightmare which leaves her a sitting target for a mean group of girls at school. Chris Higgins writes in a dead-on emulation of a teenage girl's voice. 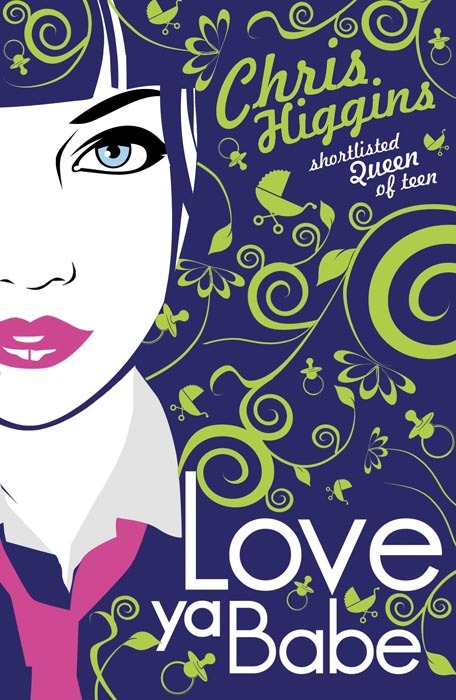 Gabby's first person narrative convincingly captures the teenager's view of the world. The brilliant Chris Higgins new story, 'Love ya Babe', gives a very astute insight into teenage troubles. Moving, witty, enthralling and completely unforgettable. Very interesting and exciting...I never wanted to put it down.